I’m so excited to share this delicious fruit salad & honey citrus dressing recipe as part of a shop that has been compensated by Collective Bias, Inc. and its advertiser. All opinions are mine alone. #SummerSoStrong #CollectiveBias Mmmmmm! 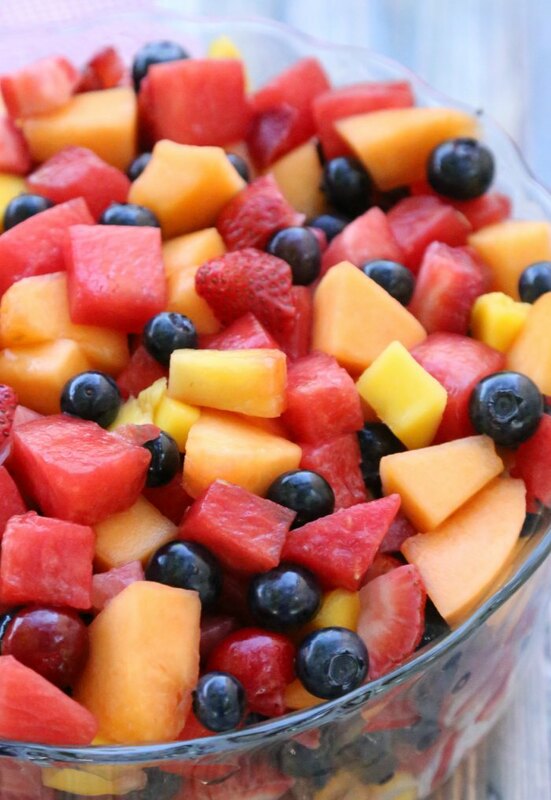 Who doesn’t love a tasty fruit salad?! It’s a BIG crowd favorite at our house – especially during the spring and summer months as those temperatures really start heating up! Often times, this is our go-to summer dessert. 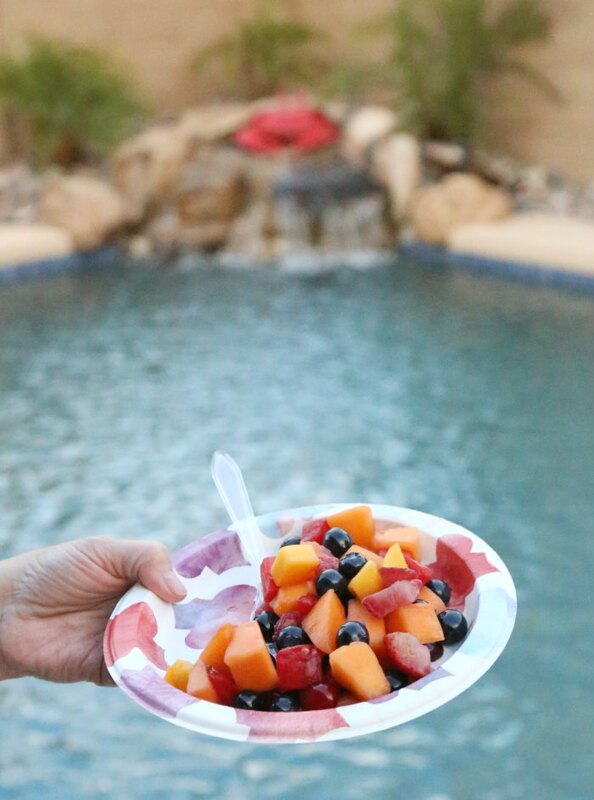 And, the fruit is SO pretty that it works GREAT as a dish to serve for backyard BBQs, pool parties, or pot lucks when we’re hanging out with friends/family! We actually do A LOT of pool parties and backyard dinners during the summer and that means that I am NOT want to deal with a bunch of breakable plates outside. So, I skip the dishes by using Dixie Ultra® for our events! After all, I’d much rather spend time hanging out (or putting my feet up after the party) than hanging out with my kitchen sponge! Prep all fruit as needed (washing, pitting, removing seeds/skin/rinds/etc) and cut all fruit into bite-sized or smaller pieces. 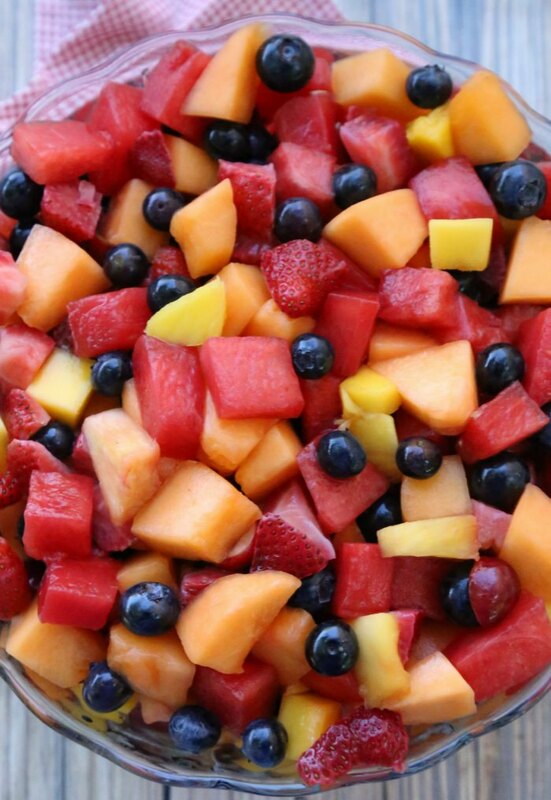 Add all fruit into a VERY large bowl. Put watermelon in last. Cover & refrigerate until ready to serve. For the dressing, mix all ingredients into a jar. When ready to serve the fruit, pour dressing over the fruit (it will cover the watermelon first). Gently stir to combine fruit salad and dressing. YUM! 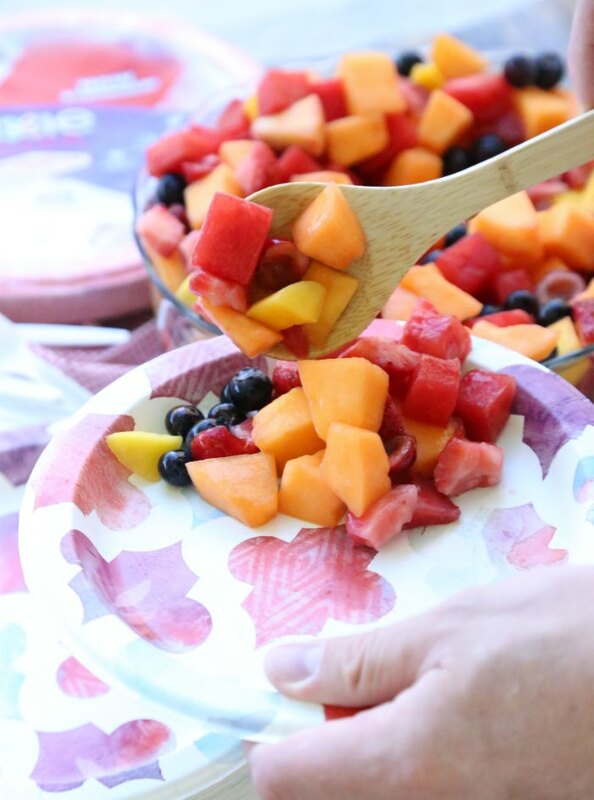 So, I encourage you to head over to Target to grab some ingredients for this tasty fruit salad and pick up your microwave-safe, recyclable, and stronger-than-ever Dixie plates. 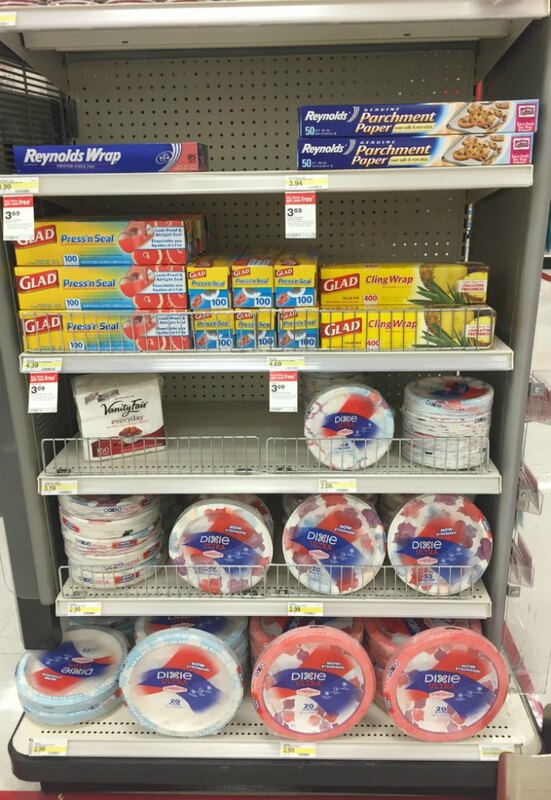 You can Save 10% on Dixie Ultra at Target 5/25-6/8 by using the Cartwheel App!! Woohoo!!! For more more tasty summer recipe ideas, be sure to click HERE! ENJOY! What do YOU like to serve for your summer parties? YUMMM!! 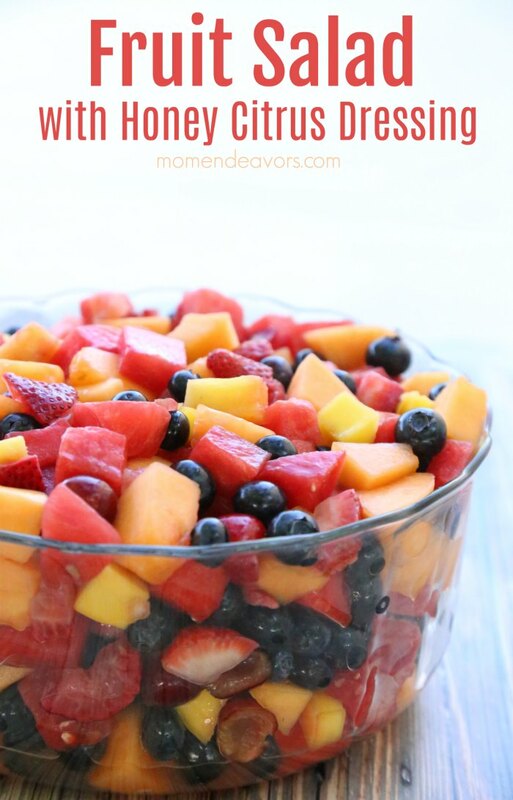 We love fruit salads and this looks wonderful! Yes, Dixie plates are the BEST! !